Some Bunny Loves Me - Easter Kid Shirt TutorialPro World Inc. Some Bunny Loves Me – Easter Kid Shirt Tutorial! Hi, I’m Dee! And I‘m an overthinking, crafty Mom from NJ who likes to spark creativity on a budget! Like the rest of you, I tend to have a lot to do, with only a little bit of time to do it in. So I try to focus my efforts on projects that are quick and easy! 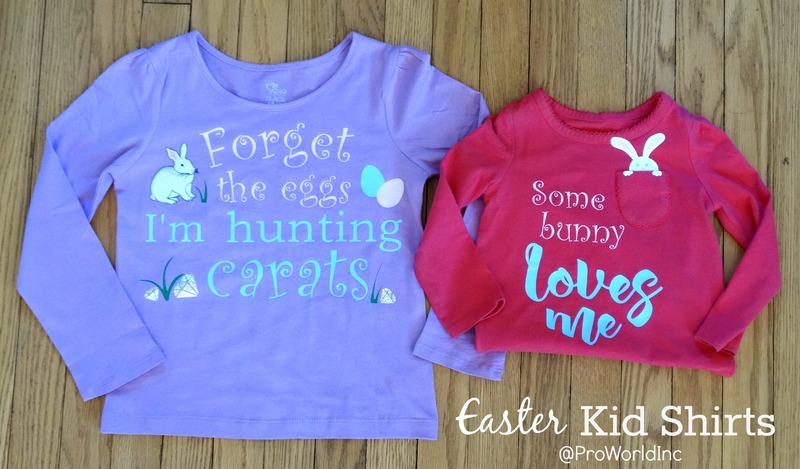 Which leads me to why I am writing on the Pro World Blog today, I am going to show you not one, but TWO adorable Easter shirts ideas that you can recreate for your kids! Aren’t you “egg”cited? For the rabbit on the carat shirt, I used an embroidered heat transfer which brought a lot of dimension to the shirt. Plus my 4-year-old daughter loved that it felt slightly fuzzy! To make designing easier, I used a placeholder bunny about the same size and build so that I could lay my items out accordingly. 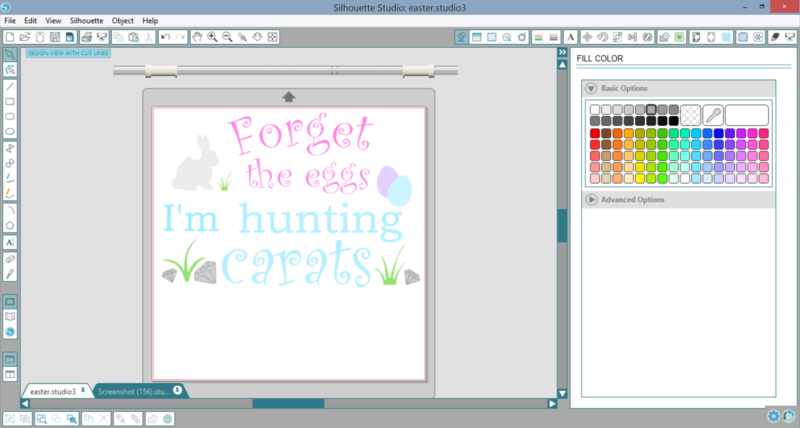 As for the other shirt images I bought the pocket bunny file, made the Easter eggs and traced the diamonds and grass. When cutting multiple colors, I ALWAYS recommend that you color code your items so that you can quickly identify your layers. The only thing worse than cutting the wrong color is forgetting to flip your design horizontally. So make sure you do that right now! Once everything has been designed, colored and flipped it is time to cut! Deselect ALL of your layers and then reselect the colored items that you are going to cut. 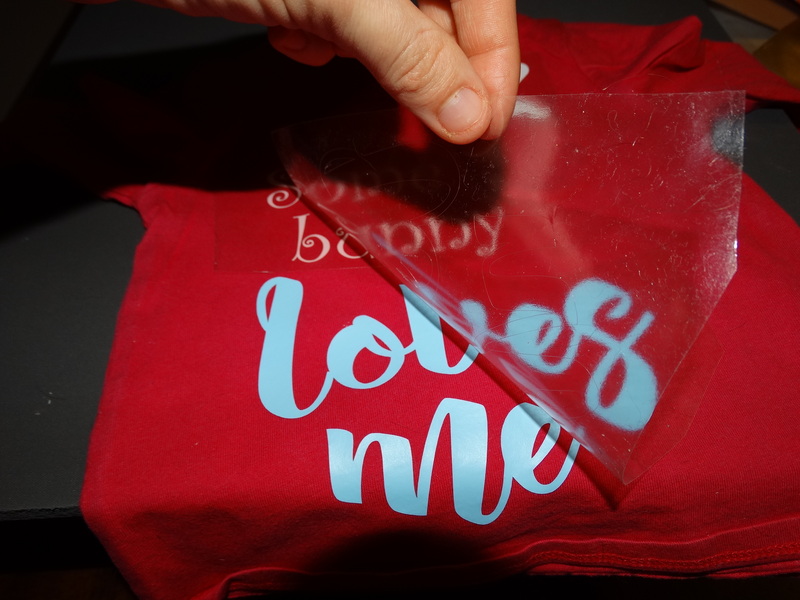 Select the Heat Transfer setting, load your vinyl into the machine and click Send to the Silhouette! 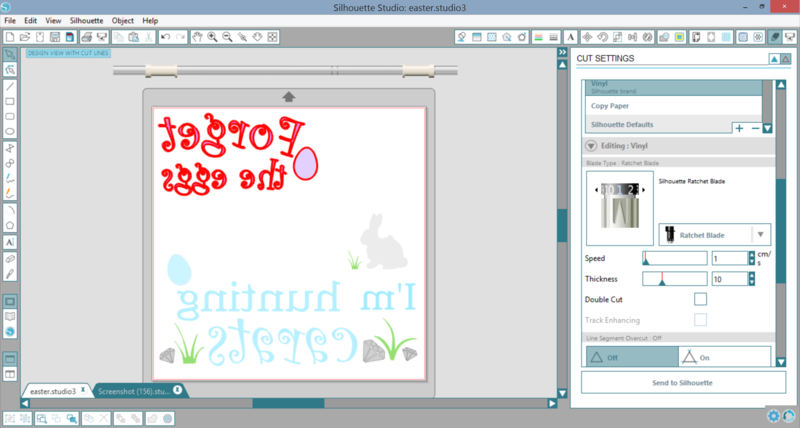 Select the Heat Transfer setting, load your vinyl into the machine and click Send to the Silhouette! Repeat the last step until all of your pieces have been cut out. Now it’s time to get your designs on your shirts! First you want to warm your heat press to 320F since we are going to press the holographic vinyl. Once it reaches the temperature press it for 10-15 seconds and peel. Slowly peel the transfer paper because you are done! Now put it on your little model and admire your work! I hope you liked today’s post as much as I enjoyed making the shirts! If you follow me at From Wine to Whine, you’ll be able to see my little models trying out their cute new shirts! And don’t forget to snap a photo of your own. We would love to see how your shirts came out! Just tag us at @ProWorldInc or by using the #proworldinc hashtag when you upload to Facebook, Instagram, Twitter or even Pinterest! This entry was posted in All Posts, HTV, Silhouette by user. Bookmark the permalink.